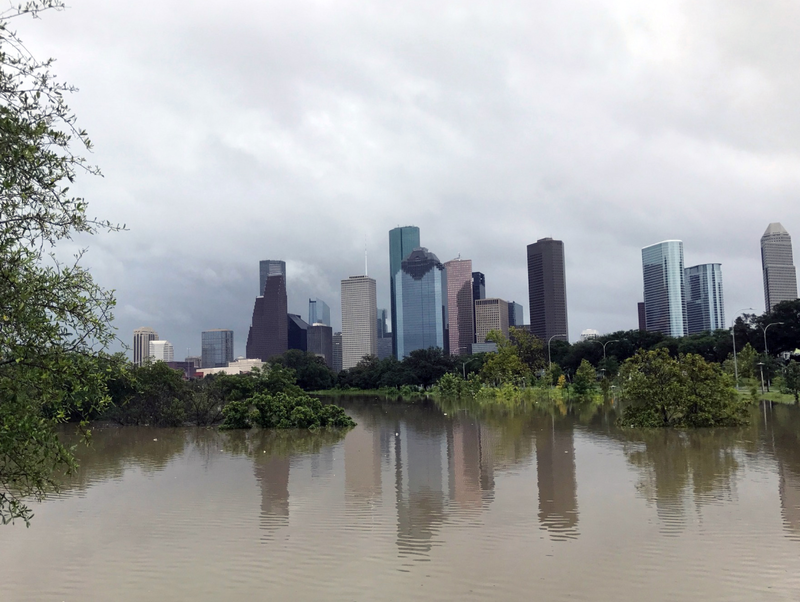 View of downtown Houston from Buffalo Bayou Park at Gillette Street. 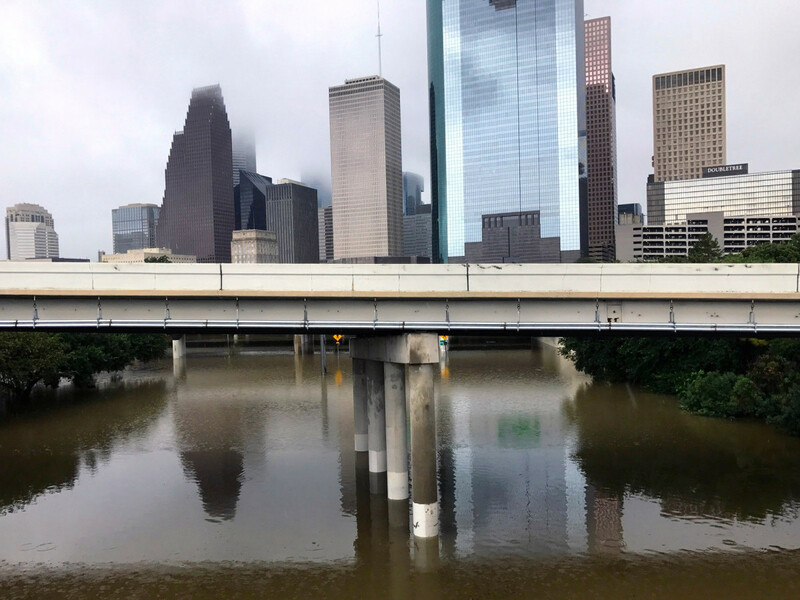 As widespread flooding sweeps through the city of Houston, CultureMap Houston and ABC13 readers are snapping photos of the devastation. 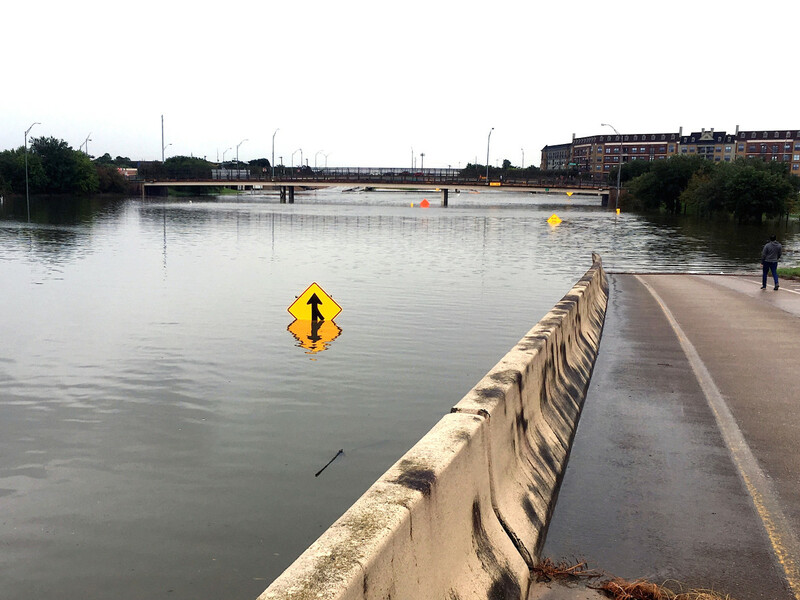 City officials continue to urge residents and visitors to stay off the roadways over the next few days during Hurricane Harvey. 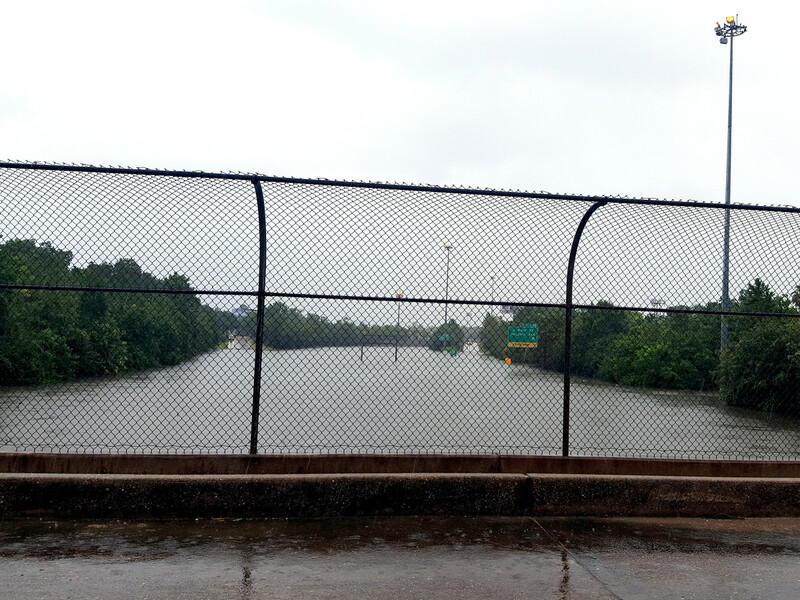 Interstate I-45 underwater just outside of downtown. 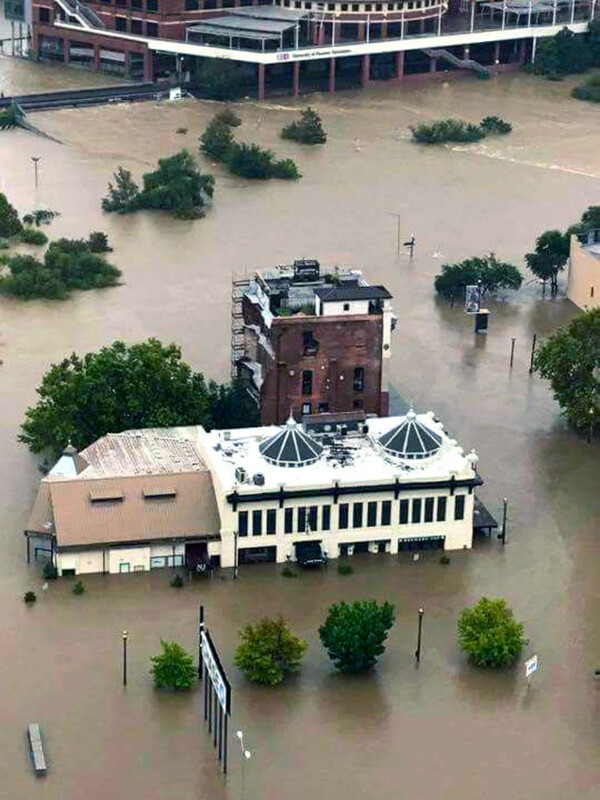 Historic bar La Carafe underwater as downtown floods. 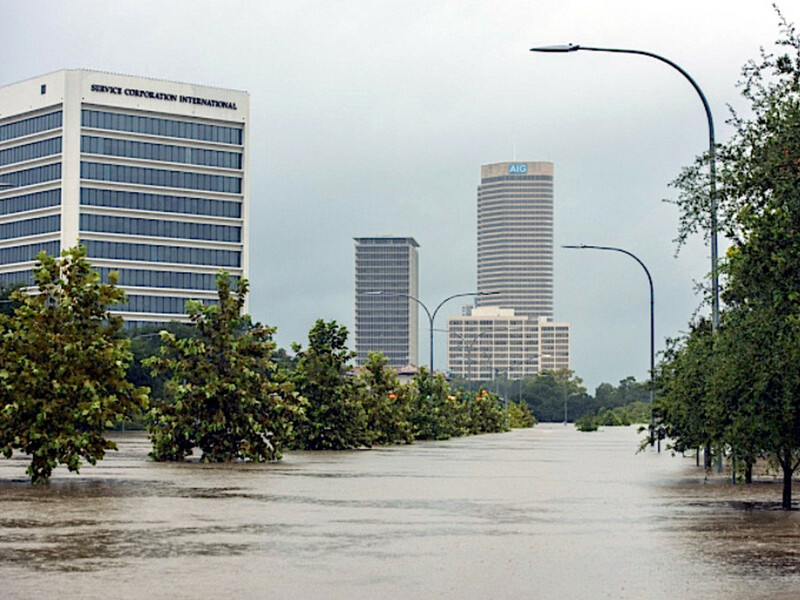 A clear view of water pouring over onto Highway 59 from Mandell. 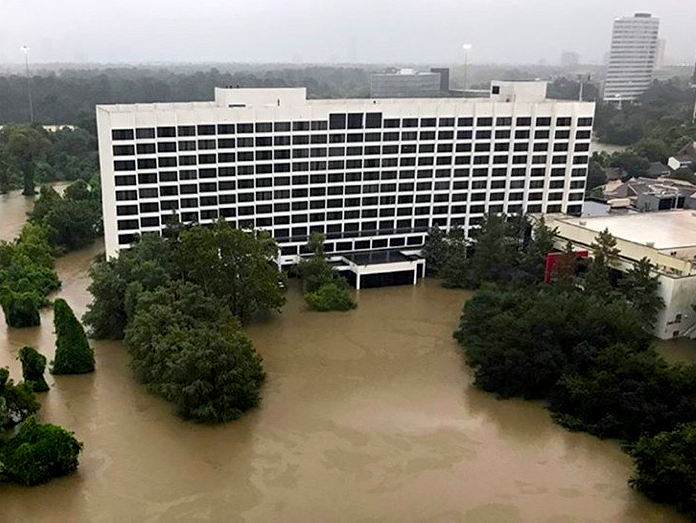 The Omni Hotel Houston on Woodway surrounded by high water. 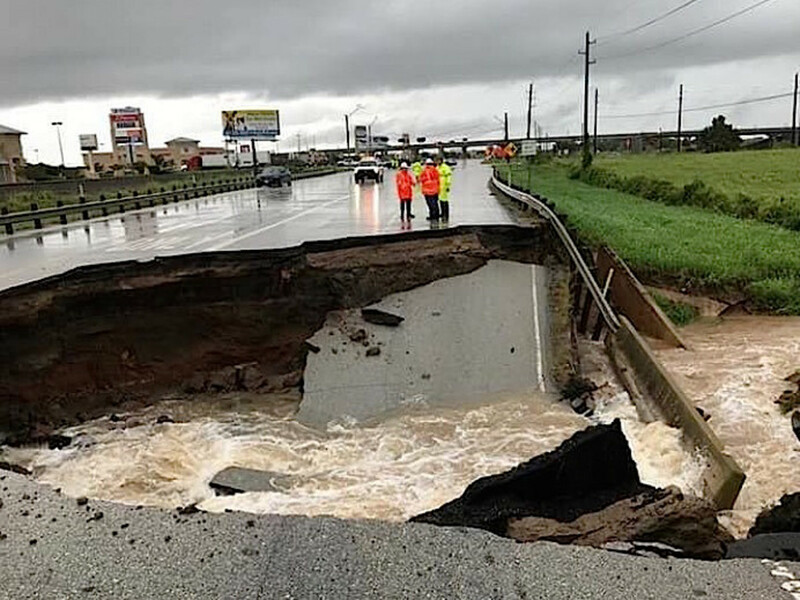 A massive sinkhole at the 3900 block of FM762 in Rosenberg. 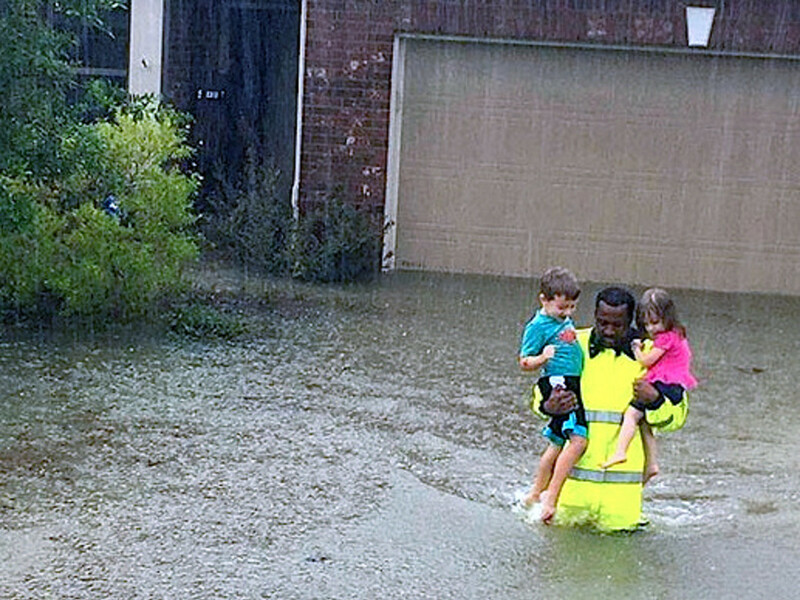 First responders helping those in need. 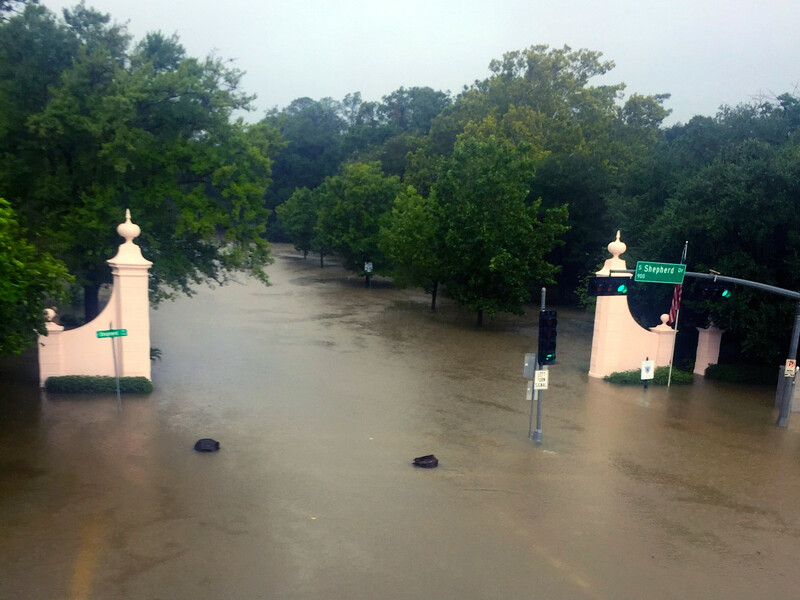 Kirby Drive at Shepherd underwater. 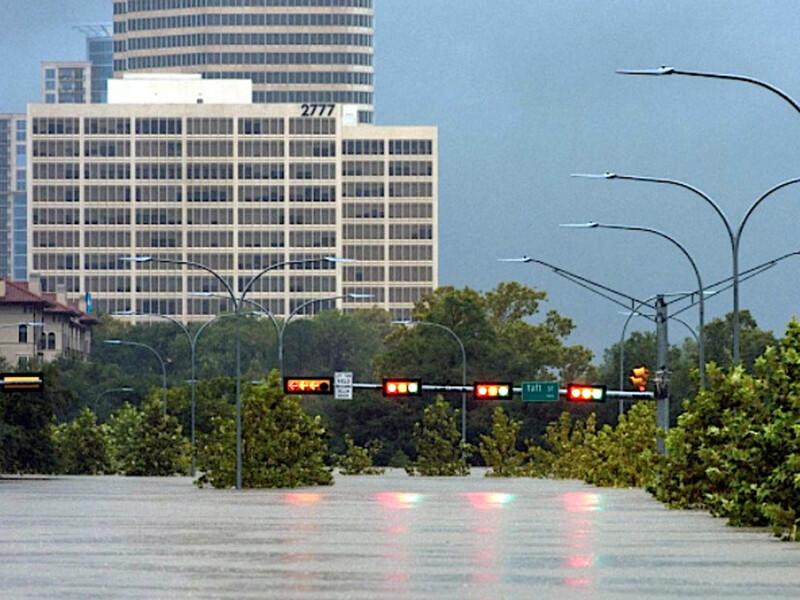 You can barely see the street sign for Taft at Allen Parkway. 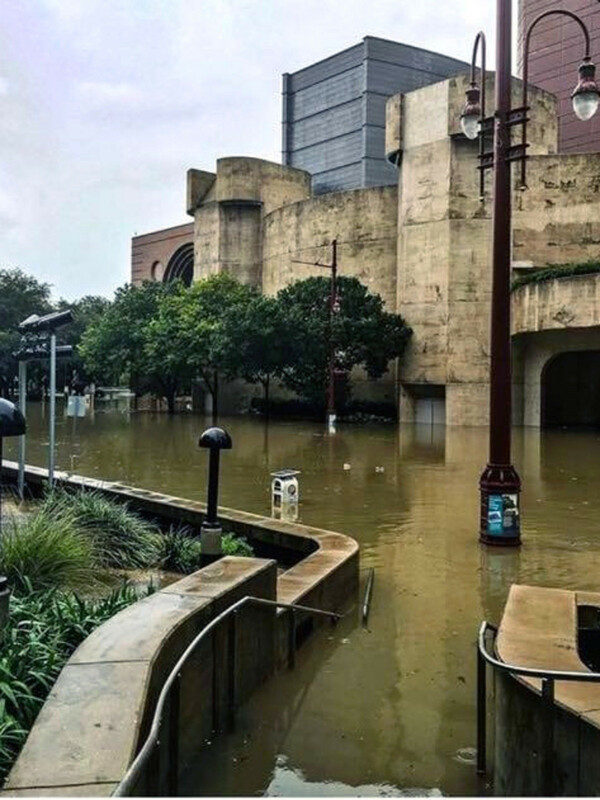 There's high water in the streets downtown near The Alley Theatre and Wortham Center in the Houston Theater District. 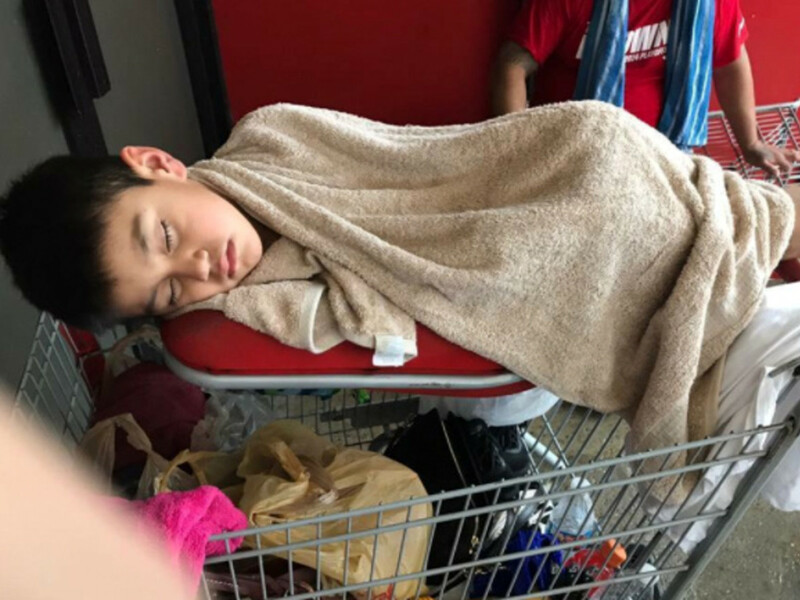 Houston Police rescued Irma Garcia, her mom, and 4-year-old nephew, stuck at the Fiesta on 59 and Jensen. 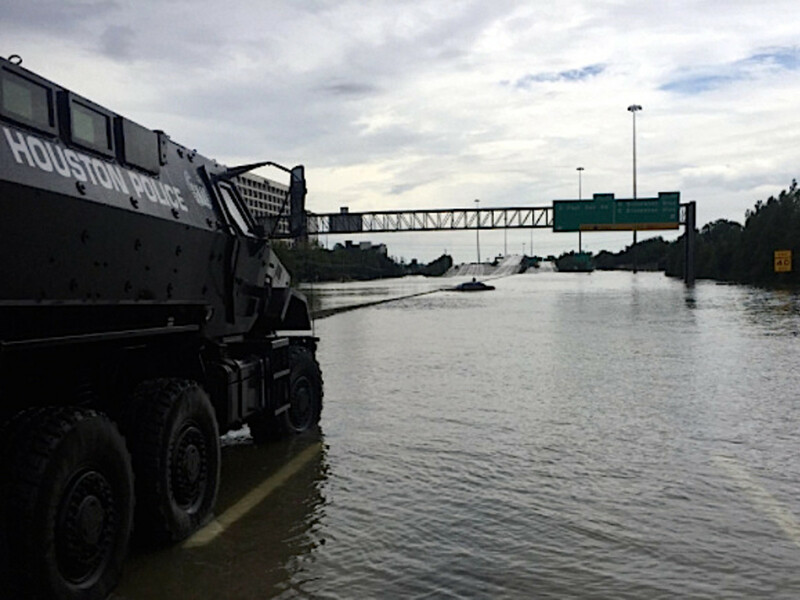 HPD rescued someone trapped on top of a car in the middle of 610. 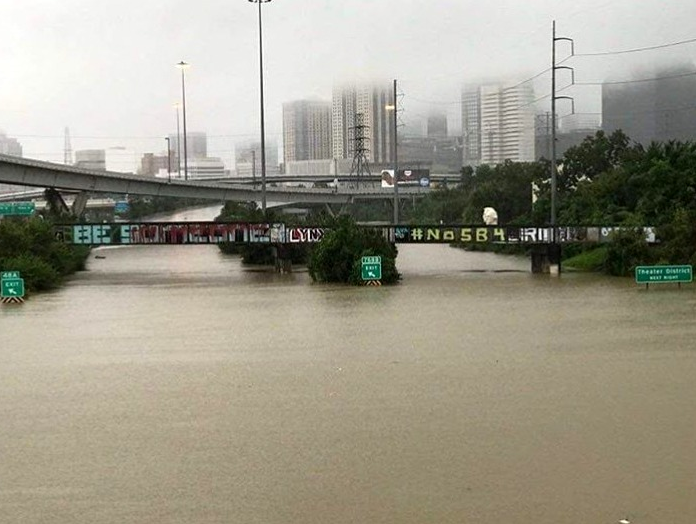 The I-45 overpass at downtown Houston. 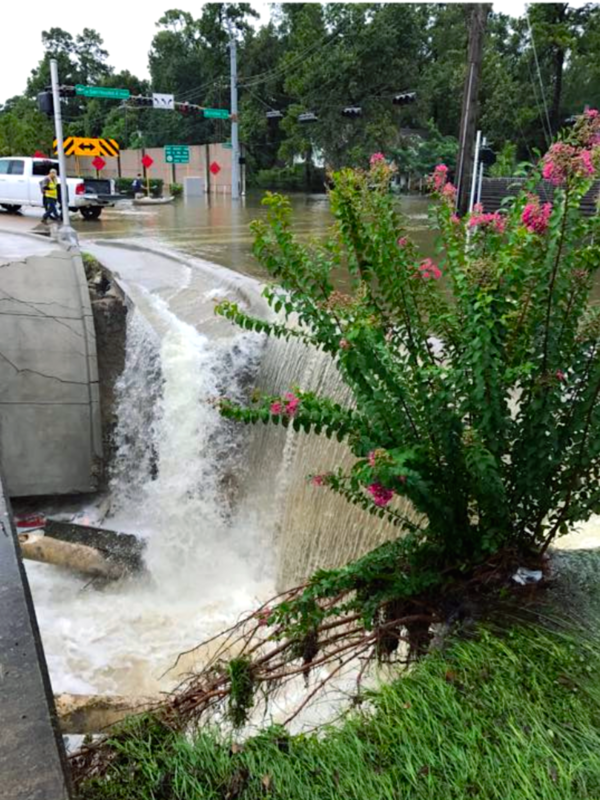 Water flows on Beltway 8 at Boheme. 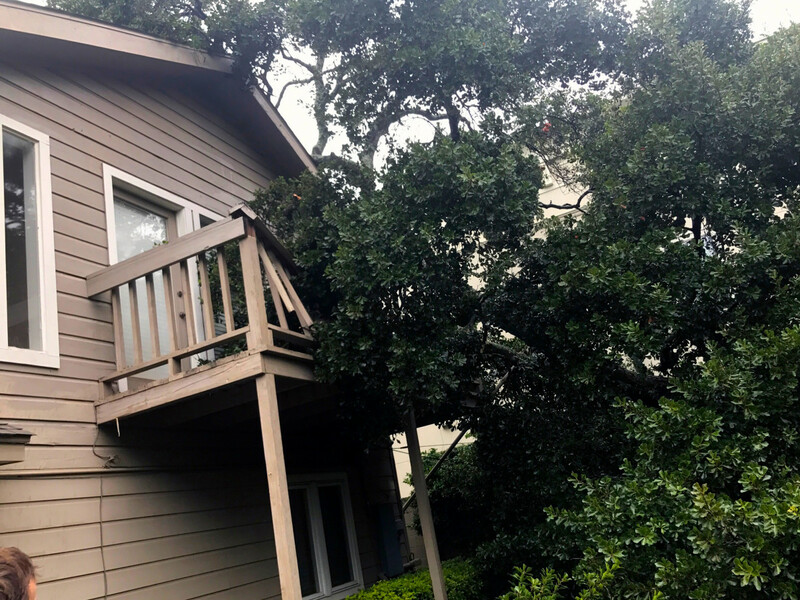 A tree falls onto a house in Afton Oaks. 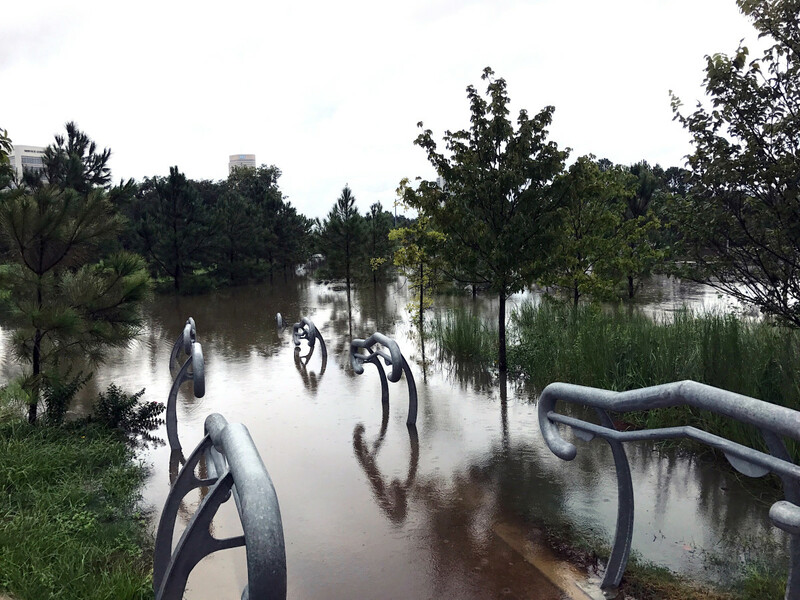 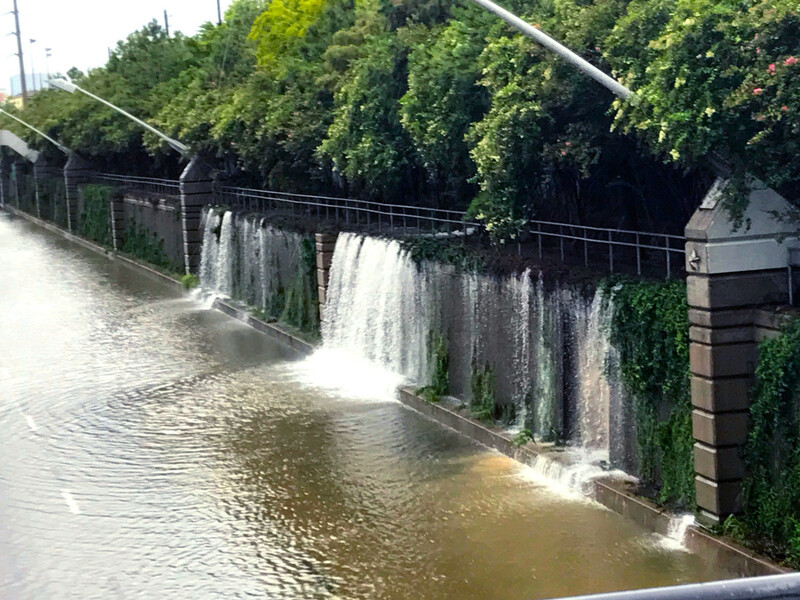 The White Oak Bayou fills with water. 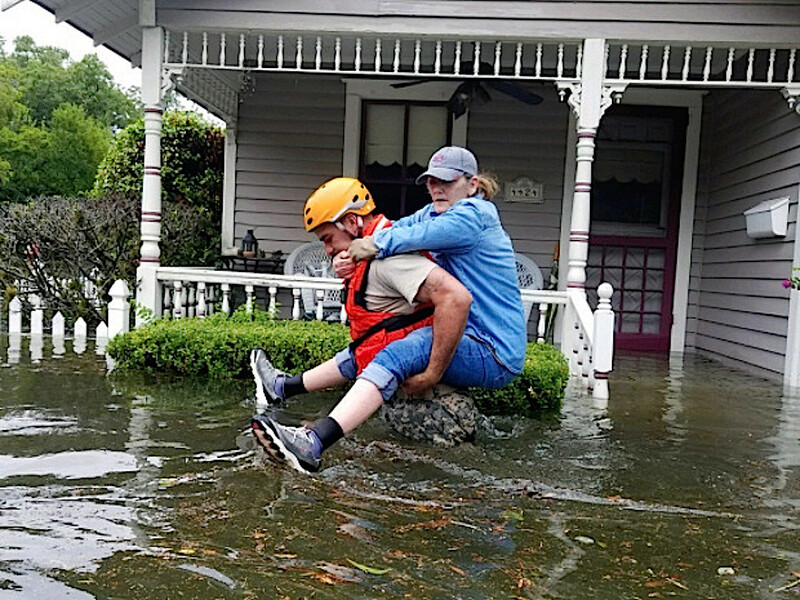 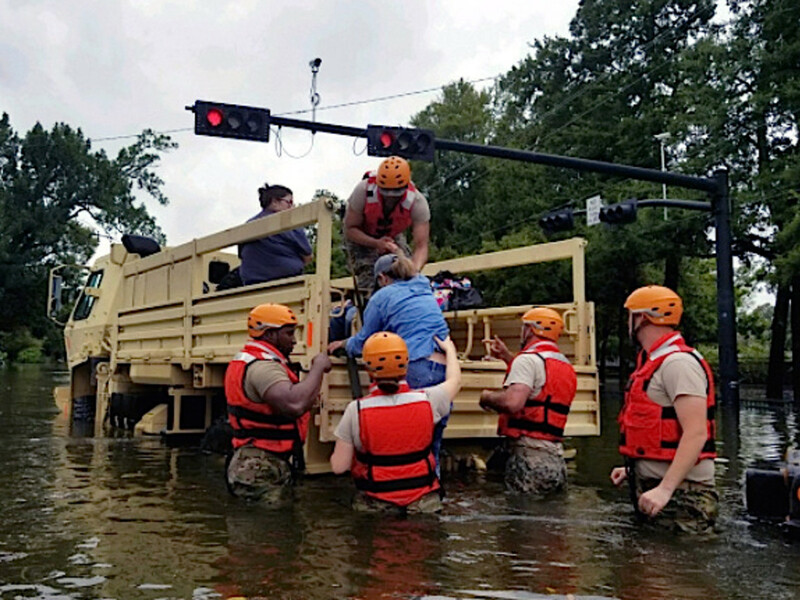 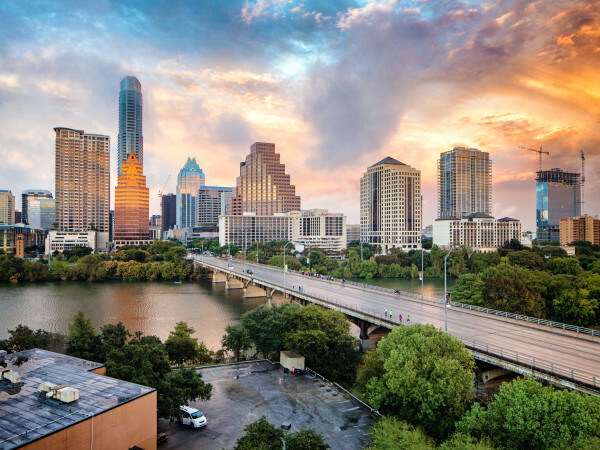 Houstonians are resilient and we stick together. 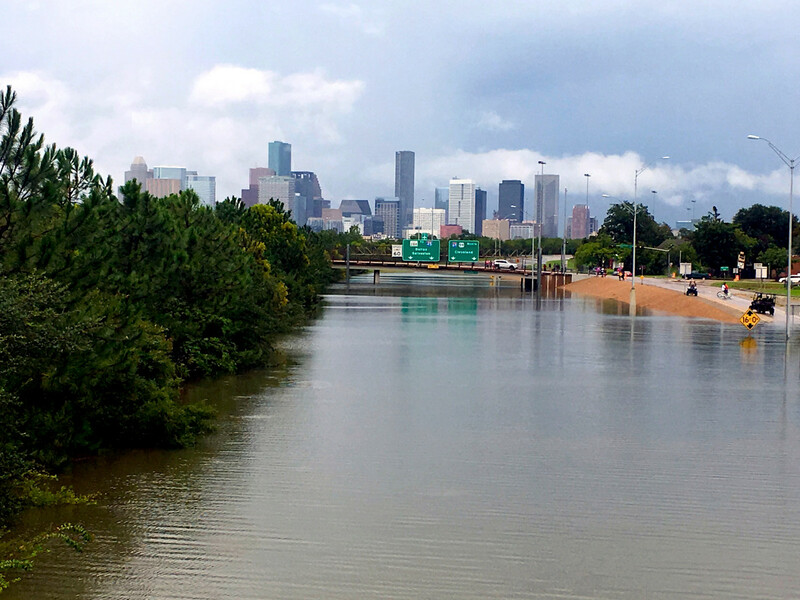 Highway 288 northbound lanes from the Binz Street bridge. 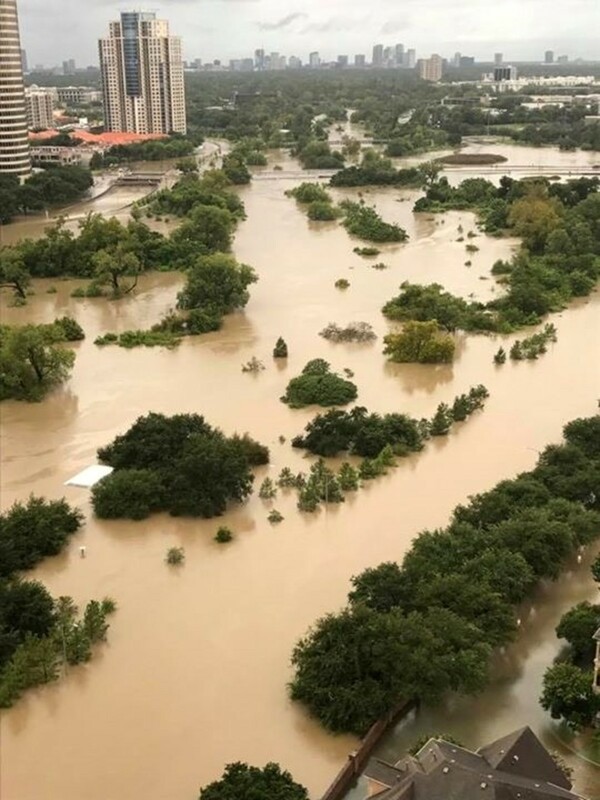 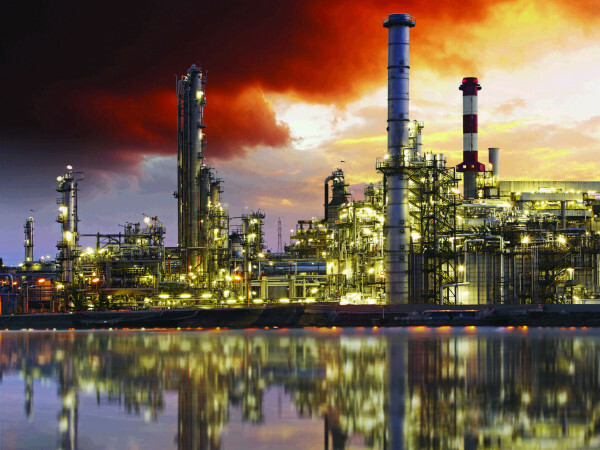 This photo was taken just outside of Victoria, Texas. 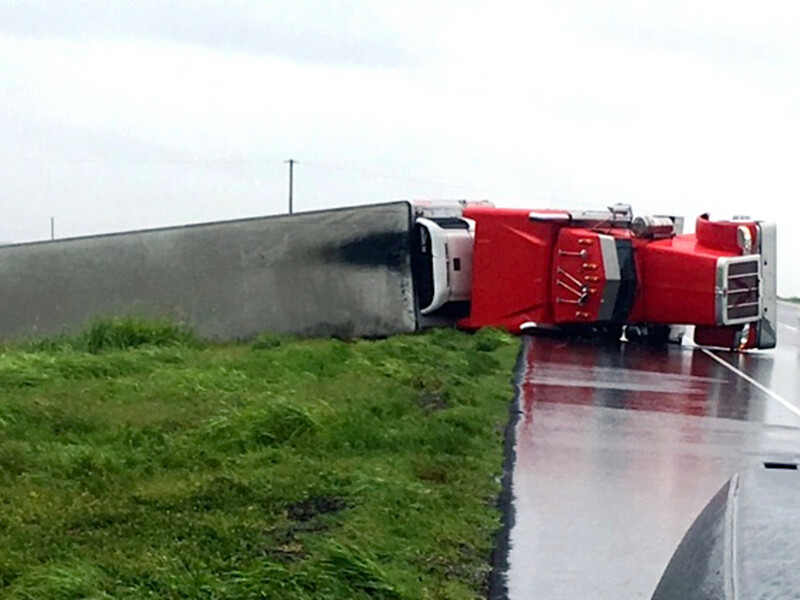 The driver was rescued and taken to the hospital. 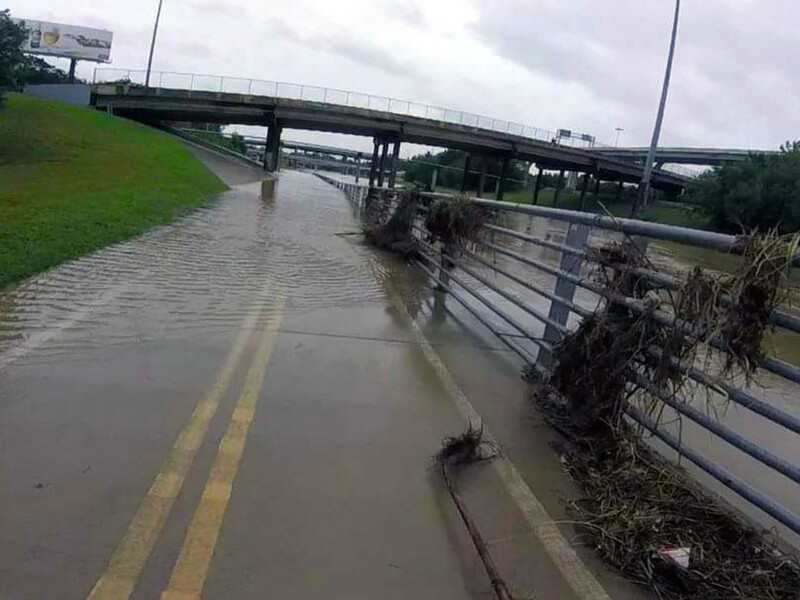 Highway 288 southbound on-ramp at McGregor Way. 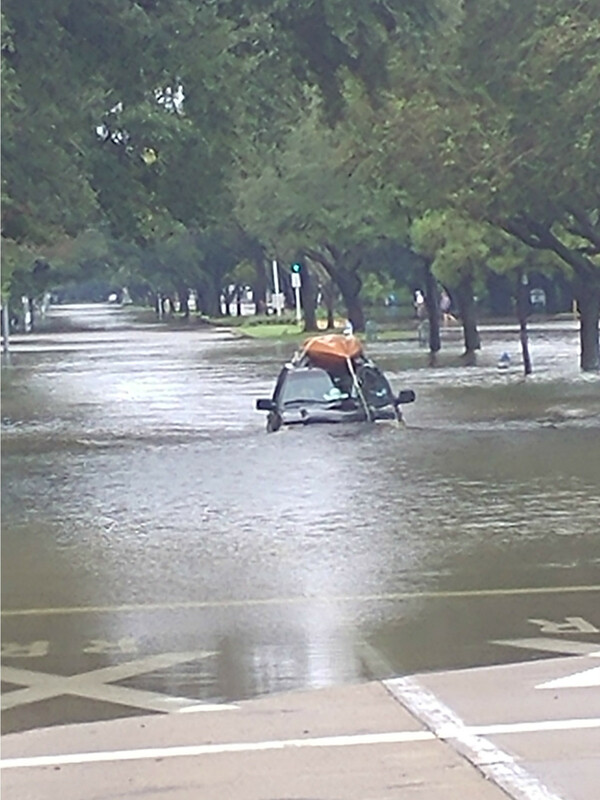 A car with kayak tries to navigate Bellaire Boulevard by the West U/Bellaire train tracks.